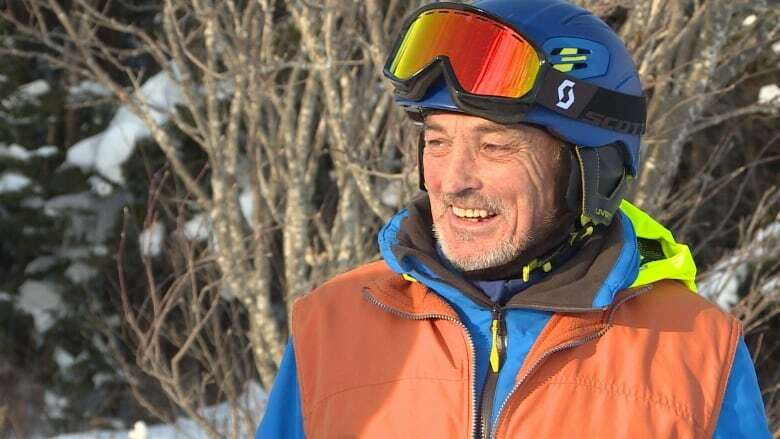 After years living in Jim Maidment's head, and nearly two more at Memorial University of Newfoundland's's Genesis Centre, the motorized-skiing invention the Skizee is ready to hit the slopes and the market, after six years of field testing and developing prototypes. 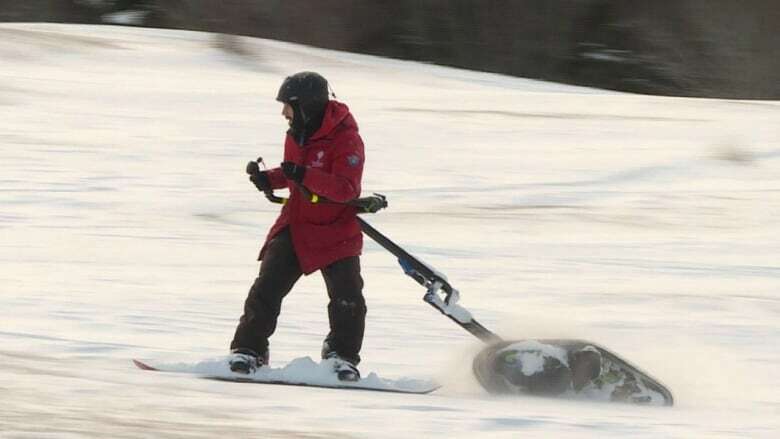 When people see Jim Maidment using his motorized skiing invention, they sometimes stop their cars to get a closer look. 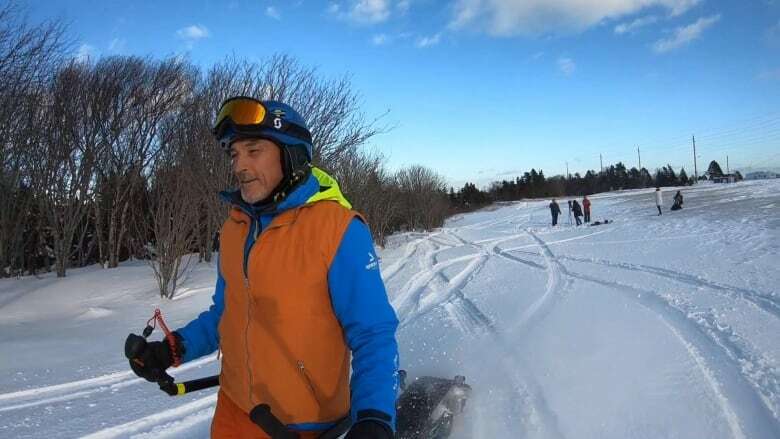 "I've had people traipse across frozen ponds with three feet [about a metre] of snow just to get to me," said the Newfoundland and Labrador resident. "I was out on a lake, and I came back to my car and there was a guy there. And he said, 'I saw you on the lake but I could not figure out how you were doing that. I had to track you down, because all I could see was a man cruising across the lake on a pair of skis, and I could not see how he was doing it.'" 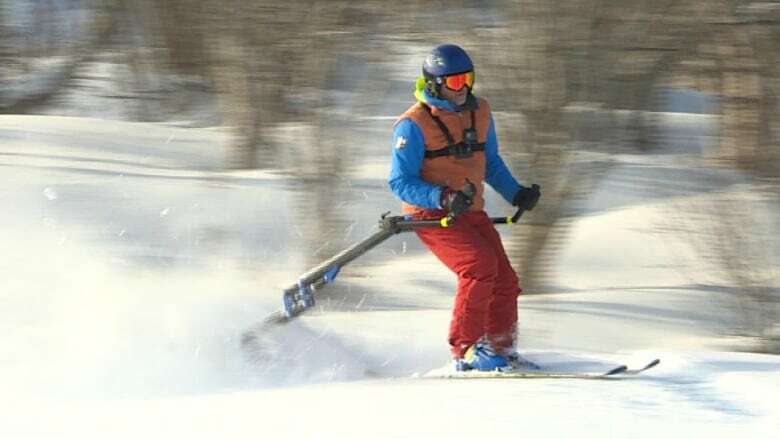 The eye-catching invention is called the Skizee — a piece of equipment that can fit in the trunk of a car, and allows you to ski uphill or cross-country snowboard. After many years living in Maidment's head, and nearly two more at Memorial University's Genesis Centre, the Skizee, which is made in the province, is ready to hit the slopes and the market, after six years of field testing and developing prototypes. Maidment came up with the idea as a boy in Goose Bay. The local ski resort, Snow Goose Mountain, had persistent issues with its chair lift, leaving Maidment slogging to the top every time he wanted to ski back down. "And I thought then, 'If there was only a way to have motorized skis, it would be as good as anti-gravity to me. I would have so much fun,'" he said. The idea stuck with him. Maidment became a carpenter and industrial mechanic. In other words, a tinkerer. One day, he bought an electric scooter for his youngest daughter, and his old idea came roaring back. "As I was looking at it, I sort of thought, I wonder if I could make this work. So I started with an electric motor, a few batteries and a couple of BMX wheels with chains on them, and I was able to go on the flats and whatever," he said. "And it worked; it just wasn't enough. So I built a bigger one. Eventually, after 10 prototypes and building up to what's safe and usable, this is the end result." The Skizee has a four-stroke engine, which drives a track similar to a snowmobile. An articulated arm splits into a fork, which rests on the rider's lower back. Grab the handles, pull the trigger and the track rotates, pushing the rider through the snow. You can glide effortlessly over flat terrain, even zoom uphill. He calls it power skiing. "This here is the best thing that came along since downhill skiing, or cross-country skiing or the snowmobile." said Maidment. "It's the most fun I can have in a compact unit where I don't have to go and slog." For storage and transport, the Skizee arm collapses and folds on top of the unit. The whole thing is a little larger than a vacuum cleaner. "It usually takes me longer to put on my ski boots than to set this up," said Maidment. 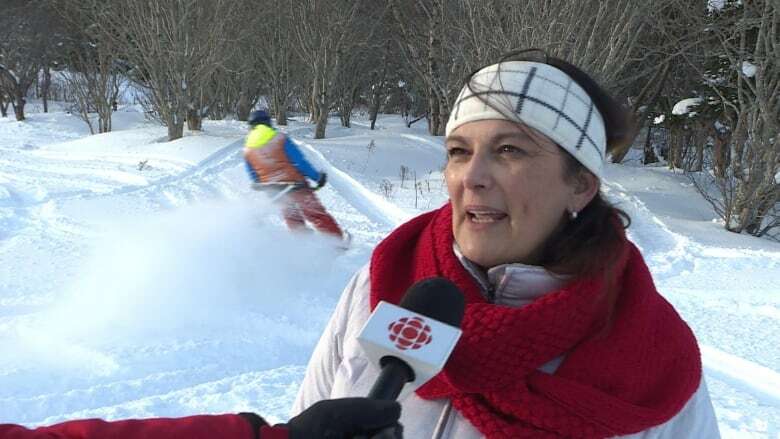 The Skizee went from a hobby to a business when Maidment showed it to an old friend in Labrador, Donna Paddon. "Jim and I knew each other from high school, way back when," Paddon said. "I was invited out to try the machine, thought it was absolutely fabulous. I loved it." The two formed a company, Roshell Industries, and about 18 months ago went to St. John's to participate in the Genesis Centre, Memorial University's business incubator to access its resources, she said. Roshell Industries is the first Labrador company to set up shop at the Genesis Centre. With their new resources, Maidment and Paddon continued work on the machine, but they also developed a business strategy, marketing ideas and contacts with manufacturers. 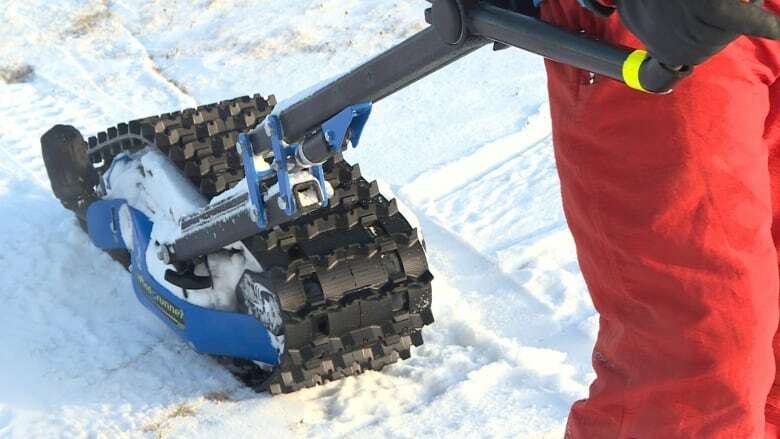 "We're producing a small number of machines for first entry, and we'll be looking to partner with ski resorts throughout the province, so that people who want to try them will have the opportunity to do so at the resorts," said Paddon, now CEO of Roshell Industries. First in line to buy the Skizee is Snow Goose Mountain, Maidment's old stomping ground. "It's been closed for about 15 years. There's a young Indigenous entrepreneur who is opening Snow Goose this winter. And we're so excited to be partnering with him as our first customer for sales within the province," said Paddon. Renting a Skizee at a ski resort will be more practical for most riders, but the truly enthusiastic can order one for themselves — it retails for $4,990. 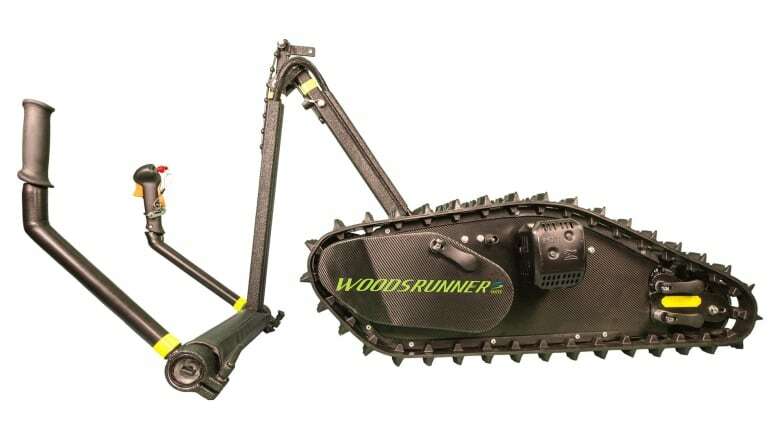 "We're just absolutely thrilled to be taking this out and to be finally able to offer this as a product to people who've been wanting it for such a long time," said Paddon.